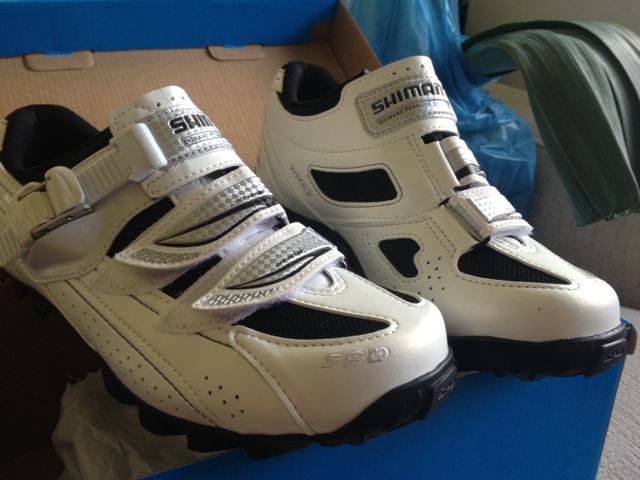 So yesterday I picked up the bike, along with the shoes so I would be clipped in from the off! I had decided to rack the bike to get it home as on a Saturday afternoon the traffic was really busy back into Warwick and being a novice with being clipped in I thought it best to try it out when the roads were a little quieter. I think the guys at @TheBikeYard would have preferred me to ride it home, if anything so they could laugh at me riding off and going straight on the floor as they had told me many times that I would fall off when getting used to the pedals. So this morning came and I had planned to take the bike out for a few miles. I didn't want to go too far as I've not yet bought inner tubes and all that rubbish (I'm not quite sure what I would do with them if I did have them anyway) but I wanted to make sure that I could get home, and today was all about getting used to being clipped in. The ride didn't get off to the best of starts as when I was trying to sort myself out I dropped my bike, I should have known then to just put it back in the house and go back to bed! So anyway off I went and after a couple of seconds fiddling about I managed to get myself clipped in. 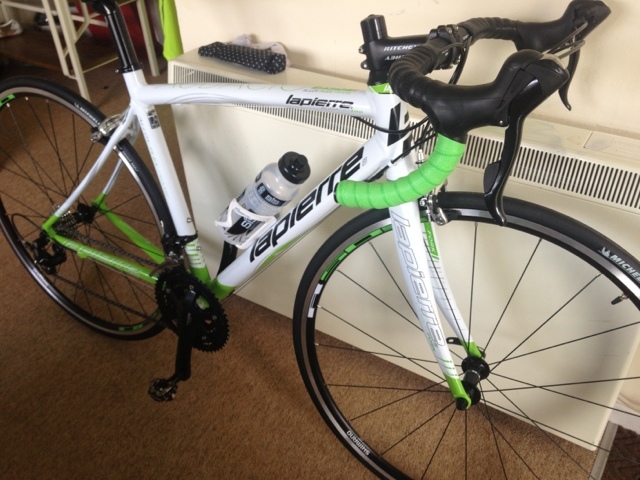 Riding this bike is pretty ace, compared to the old mountain bike and the hybrid its pretty fast and everything is so much smoother. It does feel twitchy but I guess that is something that I just need to get used to and as I develop my core strength I imagine it will settle down. I only managed to get half a mile down the road when it happened, coming up to a roundabout there were a few cars in front of me but plenty of room on the left hand side for me to go through. I went to stop to give way to cars coming from the right and having lost concentration for a second I went to put my foot down, sending me sideways and slamming into the tarmac! I remembered what @The_IronBear had told me and didn't try to break my fall so held onto the handlebars, although I stuck my elbow out and gave it a bit of a smack. As I lay in a pile in the gutter it took me a couple of seconds to work out why the bike wouldn't move off me but of course I was still clipped into the bloody pedals! I got up and shook myself off, checked the bike and then realised there was a queue of traffic with all drivers staring at me (laughing no doubt), I tried to look as though I meant to do it but of course failed! I was mortified, so I was soon out of there and carried on with the rest of the ride, which luckily was pretty uneventful. This was repeated 4 times, with minimal rest (I'd say about 15 seconds as I need to keep walking from one area of the gym to the other). I started the weights at 35kg and gradually worked up, my last set of each being 45kg, something that I haven't lifted for some time but I was in the mood to get it done today! This was followed by a bit of core work, some bridges, single and double leg and then 3 60 second planks. The walk down the stairs was interesting and I was close to having my second fall of the day, luckily I managed not to make an idiot of myself for the second time today! After fighting it for a couple of months, I know that it is the strength stuff that will continue to help me lose this weight, so I need to keep on with that and I now feel motivated to get it done, I think I just needed that one good session, as hard as it was, to confirm it. I really enjoy the strength training, and need to stop making excuses not to go, but instead find the time that I need to go AS WELL AS the swimming/cycling/running, there is plenty of time for two training sessions in one day if I need to and I guess I should get used to that now rather than struggling with it next year trying to get half iron ready! 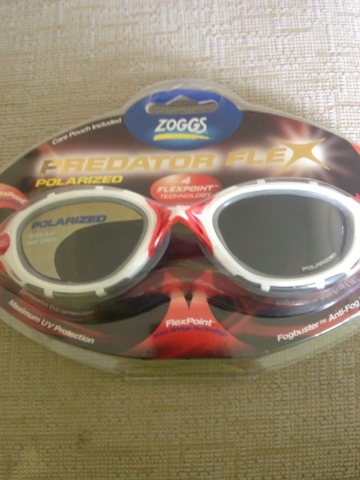 So tonight is all about the swim, my new goggles came yesterday, the Zoggs Predator Flex that I tried out when I swam with @TheIron_Bear a couple of weeks ago.